First off, I must say I have to give Carrian from the amazing food blog Oh Sweet Basil top notch credit for this fantastic recipe! If you are looking for an incredible, delicious and healthy meal to feed your family- this is it! 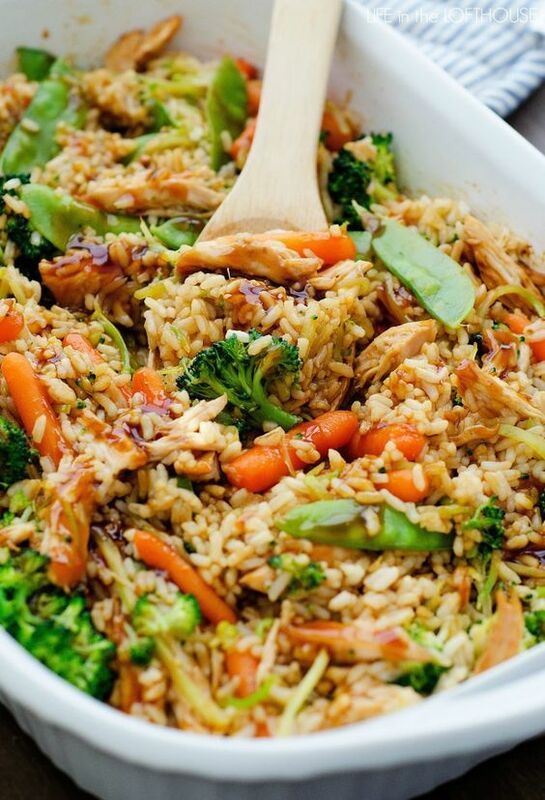 This Teriyaki Chicken Casserole is one you’ll love and even the kiddos too.